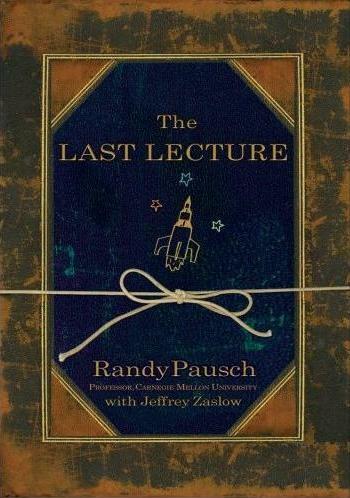 If one were to deliver a last lecture like Randy Pausch, what would it be like? I'd start with trying to prolong life. It's terrible to die at an early age like he did, and there are many things that a person can do now to prevent it. Let's start with the Mediterranean and Okinawa diets and statins, Tagamet, and nsaids like Vioxx and Celebrex. In addition to the added time to enjoy and liquify the wealth, this gives one the power of compound interest. The second thing I'd say is always be aware of deception. The market is at least as smart as the caterpillar which has a hundred ways of deceiving its predators. A good understanding of deception in nature, and models that go into first, second and third level deception in various games is a good start. The third thing is similar to Randolph's head fake thing and is contained in Liddell Hart best. The power of indirection. A frontal attack is often met by the adversaries best defenses. It wastes too many resources. Absolutely essential is to divide and conquer. The fourth thing is to develop a good character. All your faults will come out in the market. and if you are a chronic complainer, or liar, or compulsive gambler, or procrastinator, the market will ferret them out and do you in. The fifth thing is to always be humble. The market is so smart, so changing that to think you ever have the answers for too long, is certain to lead you to be behind the eight ball when things change. The sixth thing is to develop good fundamentals. Randolph says that he likes to use football analogies and to get a good three point stance and to play well without the ball. I'd go back to coach Wooden and start with washing the hands, and putting on the socks, and keeping your execution costs low, and making sure that you don't pay too high a cost in promotion or that you're carrying too many people on your shoulders who aren't paying an appropriate part of the passage. The seventh thing is to learn how to count. Too many people are prey to wishful thinking and an inability to distinguish regularities from randomness too many are subject to real psychological biases, (not the ones talked about by the Nobelites) to think that you can overcome them without some hand studies and calculations of variability. The eight thing is to learn how to handle failure. It's bound to happen, and you have to learn from it. The ninth is to read good books. We have many that we recommend on this site. The tenth thing is like Shakespeare to suit your apparel to your position, and to suit your positions to your size so that you don't get in over your head. The eleventh thing is to have some escape hatches and contingency plans i.e. the mouse with one hole is quickly cornered or as Randolph says, what happens if the wolves are after you. I could go on and on, and perhaps I will but I"d like to get your insights on this. I’d take the best of the best writers and begin with something like what Kurt Vonnegut said here. I love every book he wrote, and the most important thing that I took from them is the fun– that every situation in life can be so comical and funny, so we should never take anything too seriously. As humans, we are driven by language, and sometimes it’s funny what one can understand from the same sentence or even word– something totally different from what another would understand. Also, I’d speak about the charismatic and optimistic personalities, like Ayn Rand. I’d mention the legendary people. I’d also speak about the bank robber, whatever his name, just to show that success is something that we can create and follow, but we should never be slaves of it, or friends of it. There's only one major addition that I can think of, and that's the importance of having a higher purpose or mission in life. This is something that all the great people in history have in common, whether it's 'queen and country' (e.g. Nelson), 'the truth' (e.g. Galileo) or helping others (e.g. Mother Theresa). This could even be the biggy, the one that holds other principles in place. Find a good mentor. You can ride on their shoulders and they will achieve immortality and pay back for the mentoring they received through you. But by the same token, never take a tip from anyone, a trade for the day, because you won't know if it fits in with your persona as it did with theirs, and you'll never know how strong their convictions are, and when they change them, and you'll be weak. Be optimistic. Nothing good has ever come to those who hope for the destruction of civilization or the market or who fight the upward drift which must continue up to follow the strands of human progress, which is still grand, even today especially if you consider all the individualism unleashed on the world in India and China. One of my mentors, Dr. Raymond Chang, says that the best meal for a lifetime he knows is to take a vitamin D3 Supplement each day, and I would add it to the list. Exercise is always helpful as it prolongs the life, and eases the tensions, and improves the digestive process, and makes you look better, thereby attracting better mates, and mentors, and is in keeping with the fundamental nature of humans, which involves play and sympathy. Family. The people that you can always count on are your extended family, and the more you use this to support you, the better you'll be. Conversely, be aware that most of your non-extended family, except for your very good friends, can never be trusted to support you when you need it the most and indeed are likely to disappoint you over the long run. Friends. Friendship based on business is always better than business based on friendship. I would augment my little thing about deception above by saying that one should always beware of the negative lie as a tool of deception. The thing where the deceiver tries to say something bad about himself so as to get you off your guard so he can go in for the big kill. I was interested in this regard to see that the French firm that killed itself out of honor on the Madoff matter was taken in by the very self deprecating manner in which B. M. told them that he once lost too big while his kids were tugging at his coat, and telling him not to help others, when he tried to intervene with big bucks against his kids advice. It is interesting how the kids "apparently" did not tug at his coat vis a vis any of his other less noble activities. That is a good list, although I'm tempted to repeat a comment of my father's, "There are not ten good reasons for anything." Which would suggest focus and priorities. Do what you love. Love what you do. Don't do what you hate. Many people will tell you what to do. There are social and family pressures, some hidden. Follow your own agenda. Trade your own style. You can't follow someone else's style. It won't fit, and you will lose money. Trade and make money the way you know how, they way that is comfortable to you. Spend time with your family. As Vic says, no one but they will really be there when your really need them. There is not much time, and it will soon be gone. Spend time with them. Regarding Vic's "fourth thing," use the market-mirror for self-diagnosis, but never rule out the possibility that your condition (you + the market you're in) could be pre-malignant and require complete excision. There are two things I would add. One, read different books and develop breadth. Drucker amazed me in school because he could illustrate ideas from history, literature, life and whatever. I encourage my kids to take courses in Arab culture or Norwiegen or whatever, not just literature and art which are their major interests. Second, learn to listen. I find at bonus time everyone has inflated opinion of their contribution. 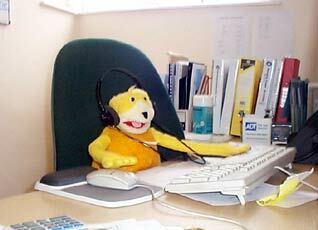 I did well in my career because I never argued with my bosses. If they paid me x, my contending that I was worth 2x wasnt going to fly. If it was .5x (fortunately it never was) that was a signal to shape up. All of Victor's ideas about ways to prolong our mortality are right on. I particularly like the comments about deception, because I have always believed that one of the things that differentiates excellent surgeons from merely good surgeons is the ability to see things that others don't, such as tissue planes, obscure vessels, the deceptive picture that disease often presents.